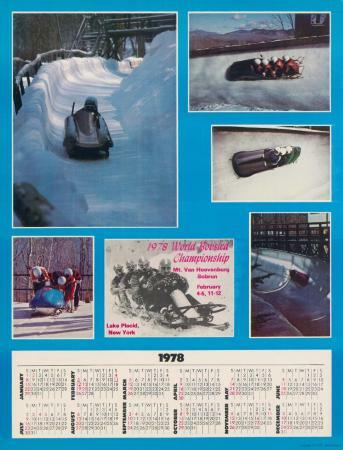 Poster for the 1978 World Bobsled Championships, held at the Mount Van Hoevenburg Olympic Bobrun at Lake Placid in the Adirondack Mountains. The poster includes a calendar and photos of the events. Source: Adirondack Museum Library, Broadside collection, MS 61.82, folder 11.